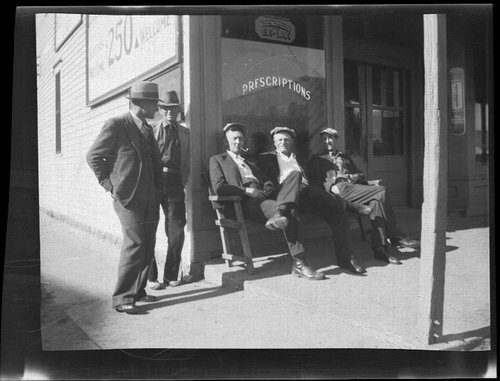 A photograph showing five recently discharged patients from Dr. Owensby's hospital gathered in front of the drug store owned by Ralph E. Lake. Owensby's hospital was located across the street from the drug store. The second floor of the drug store housed Dr. John R. Brinkley's hospital in Rosalia, Kansas and it was in direct competition with Owensby.